Step1 : Choose any one 'Import and Composing Option' to load contact numbers and messages. Now click on "Mobile Phone Connection Wizard" button to start connection process. 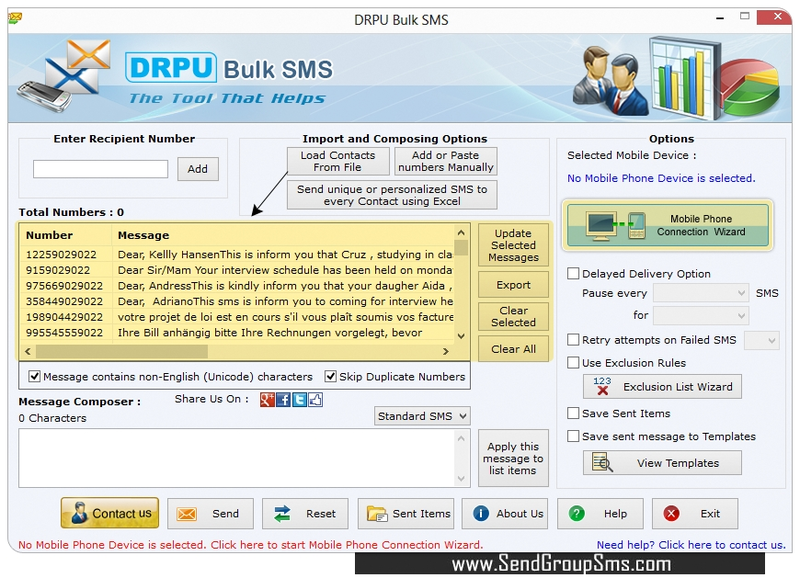 Bulk SMS Software for GSM Mobile Phones designed to compose and send multiple text message from computer to group of mobile phone numbers via using GSM technology based mobile phones. Text messaging software works with major GSM mobile phones and helps Business people or Home users to broadcast hundreds of text sms from pc. Bulk sms sending application is use for mobiles marketing solution to forward instant sms from pc including Product promotion campaign, Alerts to reach the target audience. Sms messaging software works with major GSM mobile phone models and does not require gsm modem for sending sms. 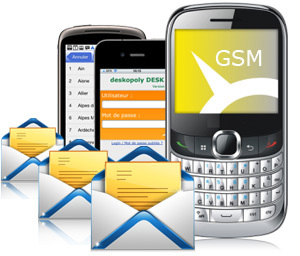 Compose and send bulk sms from pc using GSM mobile phone. Mobile to pc sms software works with major GSM technology based mobile phone devices. Does not require internet connection for using bulk text message software to send text sms. SMS sender software sends sms that contains non-English characters. PC Mobile sms software provides advance option to send notification or standard sms. No expert guidance or technical training required to send sms mobile messages.